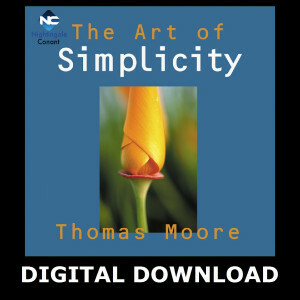 Thomas Moore is the bestselling author of Care of the Soul and Soul Mates as well as a number of other books. As a young man, he studied for the Catholic priesthood in a monastic setting, leaving the order shortly before being ordained to continue his studies. He holds a B.A. in music from DePaul University, an M.A. in theology from the University of Windsor, an M.A. in musicology from the University of Michigan, and a Ph.D. in religion from Syracuse University. A leading figure in the field of archetypal psychology, he has taught at several universities and conducted a private practice of psychotherapy for seventeen years. He is also active in audio and television producing. Today he lives with his wife and children in New England.